Holy cow. Pat yourself on the back, Amunshen. I can't wait to get my hands on this game. It is worth waiting for because they must have lots of cool FMV animations not like Rockman X5 and X6. I can't wait. Pretty amazing that the main RM Online contributors won the naming contest. 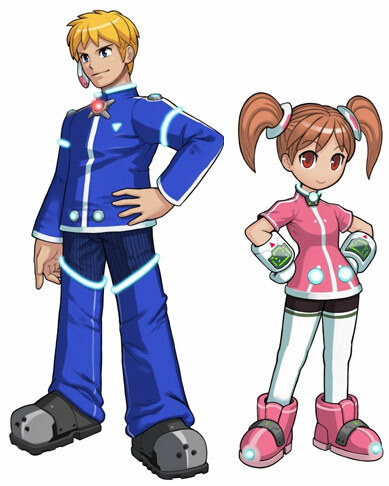 Even though I honestly don't think these designs are that good, it's great that one of the names ties into an existing character's name. Hopefully this leads to alot of cool RM Online news. Congratulations to Amunshen. How so, anon? This means we're getting an exclusive look at RMO. Kudos to whoever named Deneb. That's pretty danged cleaver if you ask me. 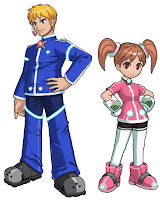 Soooooo... are these humans or reploids? I'm having a hard time telling. read the first two sentences.